We are closed on the US Post Office holidays. 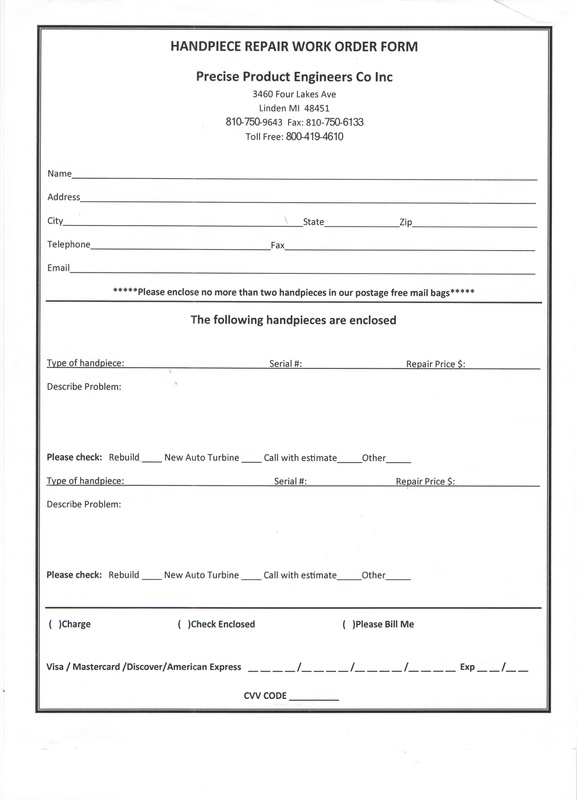 The form below is the handpiece repair work order form. Please enclose a completed copy with your repair order. You can print out our 1st class postage free mail label to adhere to any secure box or package. If you would like to request our 1st class mail bag, you can call 800-419-4610 or email us at ppecinc@aol.com When using our mail bag, enclose no more than two handpieces per package. Drop your package at your local US Post Office or have your postal carrier pick it up.